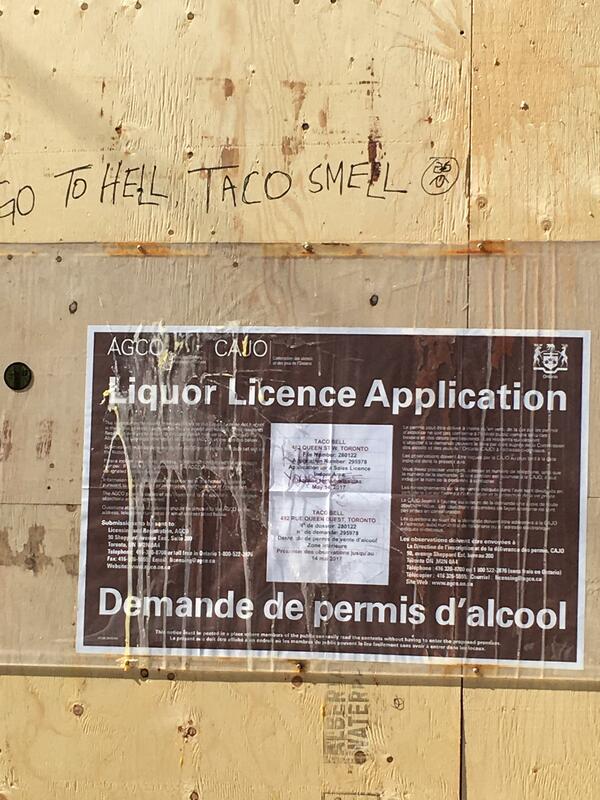 It’s all happening too fast: first, Toronto was hit with the news that we’re getting the country’s first Cheesecake Factory, and now Taco Bell is opening a west-end location with a liquor license. An (already vandalized) AGCO application has gone up at 482 Queen West, the former space of long-time tenant, the Hideout. The American chain started serving beer, sangria and boozy neon slushies alongside its chalupas and cheesy bean burritos, at select US restaurants in 2015—presumably cashing in on the popularity of trendy taquerias like our own Grand Electric and La Carnita. Now, instead of getting a gordita fix after the bar, Torontonians will be able to both start and finish their night at Taco Bell. The downside: it’s dine-in only.